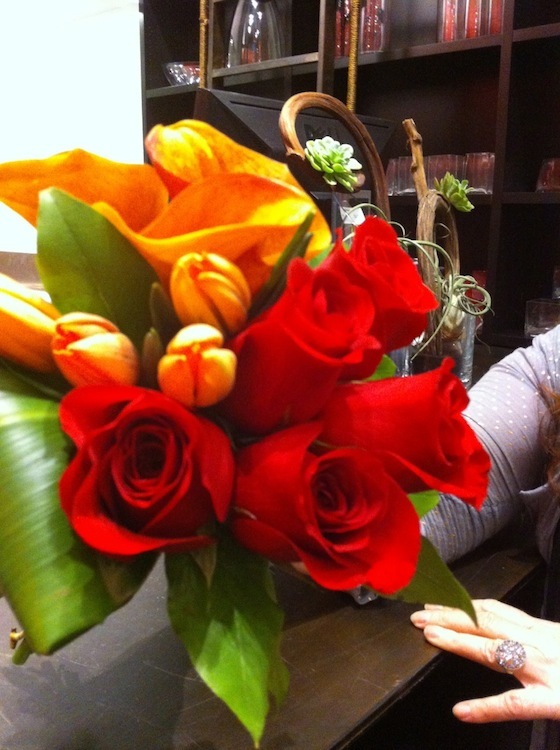 Recently I was invited to a sneak peek demonstration of Bloom’s upcoming flower-arranging class. At the demo I met Kimberly Perrone, owner of the luxury flower retailer and lifestyle brand, and Erika Takeuchi, a Japanese floral designer with 20 years’ experience. 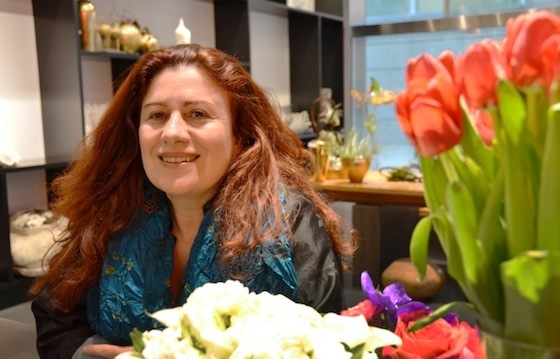 The two will conduct the class in tandem, with Perrone introducing the flowers and describing each step Takeuchi takes in designing different bouquets. Although Takeuchi is fluent in English, “I prefer to make the arrangements,” rather than lecture class participants, she says. Slated to begin in September, the class will take place at Bloom’s spectacular downtown location on Murray Street. The class will be structured like a presentation, with the participants making their own arrangement/bouquet during the 90-minute session. Class size will be small, or even private, depending on the response. 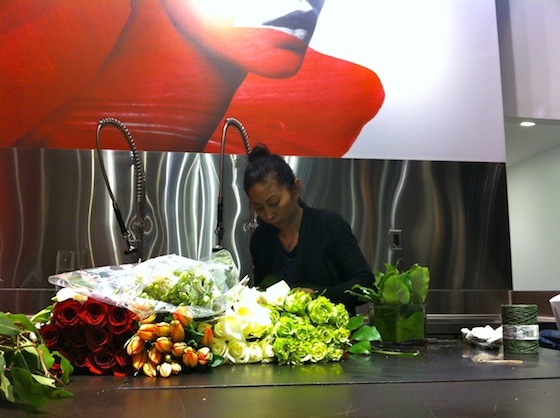 During the demonstration, Takeuchi created three different bouquets, which Perrone classifies as basic styles for the beginner. 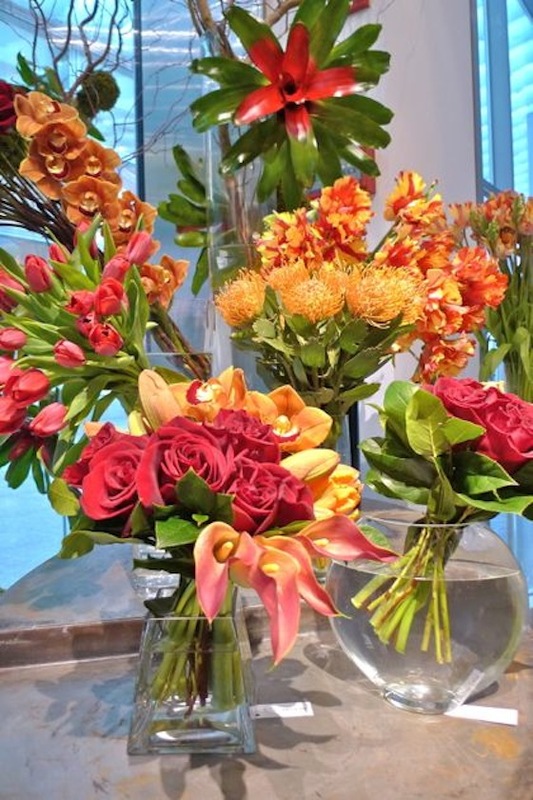 Class participants will learn the proper technique for handling and arranging the fresh, high-quality flowers, most of which are imported from Holland. Check Bloom’s website for updates about class times and pricing. If you have questions about the class, send an e-mail to info@bloomflowers.com.